I would not call it fear of the dark.. but when you are on a dimly lit stage without good lights and you have to play technical riffs.. well it could be bit a bit hard. Luminlay is the perfect solution. As soon as I discovered their existence I immediately loaded them on my Dingwall AR5 bass. Highly recommended!!! 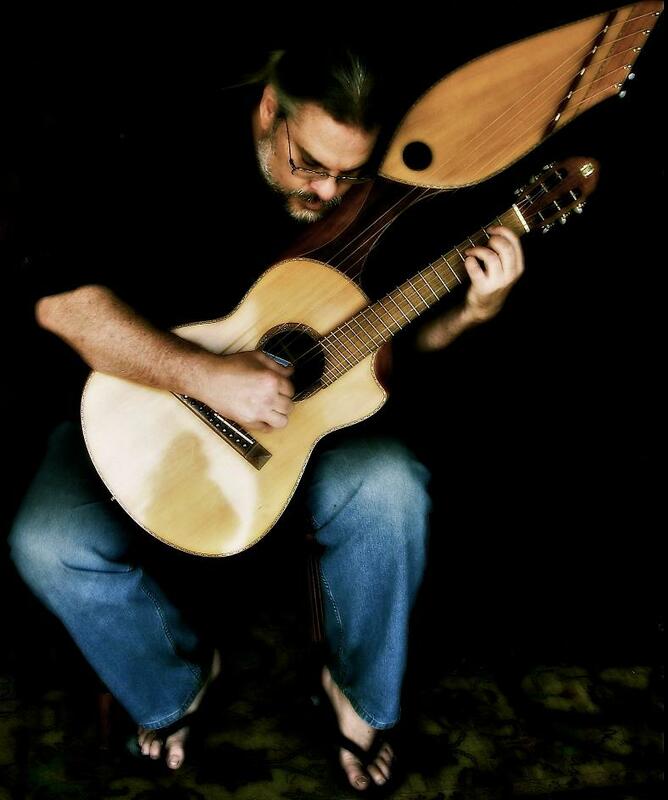 I am a nationally touring solo acoustic guitarist and I LOVE Luminlay. After experiencing a disappearing fingerboard lost in the lights at a gig in Rochester, NY this spring I had Luminlay installed on my two performing guitars and I couldn't be happier. Of course now I don't have any excuse when I make a mistake, but I can live with that, cause with the Luminlay side dots I can see exactly where I am at all times. Every performing guitarist or bassist with white side dots should replace them immediately with Luminlay. As far as I'm concerned they'd be absolutely foolish not to use them. I can play with so much more confidence in any lighting situation now-that's very freeing for a performer-there are enough things to worry about when playing live-Luminlay removed a major worry for me. I think more people should know about Luminlay. And I make a point to show people at all my shows-people are startled, amazed, and laugh when I use the flashlight to charge the dots. So not only does Luminlay help me perform better, it becomes a fun part of the show itself !! I have been using this wonderful product since early 2010 and I am extremely happy with the function of the side dots. Customer feedback is that Luminlay dots make a great difference... I have even had customers with older basses send them back to have Luminlay installed. 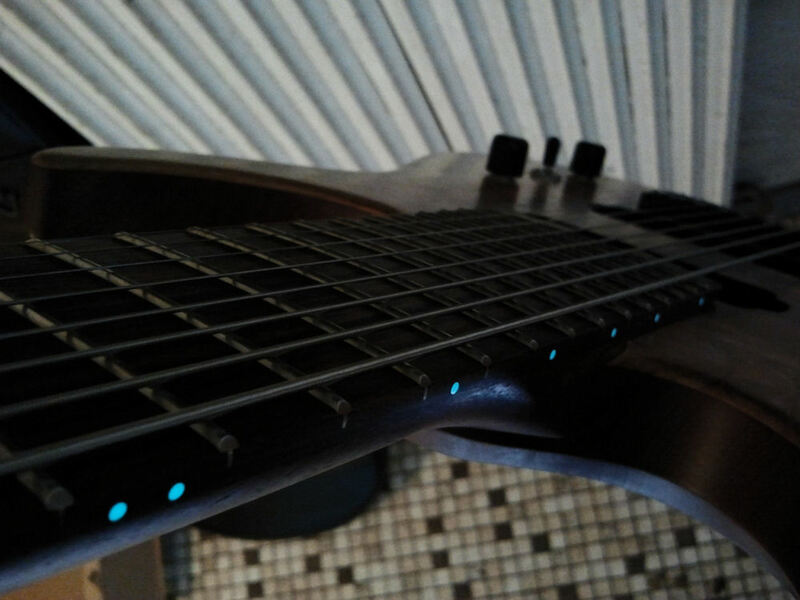 Luminlay makes the coolest looking and most useful side dots I have ever come across on a guitar. They absorb light really fast and stay bright for a long time. Easy to see on a sunny day to total darkness on stage! I’ve heard about Luminlay products a couple weeks ago and because of my curious nature I decided to order a set. My order only took 4 days to arrive from Japan to Switzerland! Fitting the fingerboard side dots is easy and the material is very easy to file and sand down flush to the wood. The absorbtion of light is instant, simply take your guitar outside in the sunshine for less than 2min, go back inside your house in a dark room and you will see what I’m talking about! From the day I’ve received my first set, I’ve immediately decided to fit luminlay to all of my instruments, that’s how good this product is! Appreciatiation of traditional values and introduction of new ideas outline the world of contemporary musicalal instruments, and Luminlay presents yet another innovation. 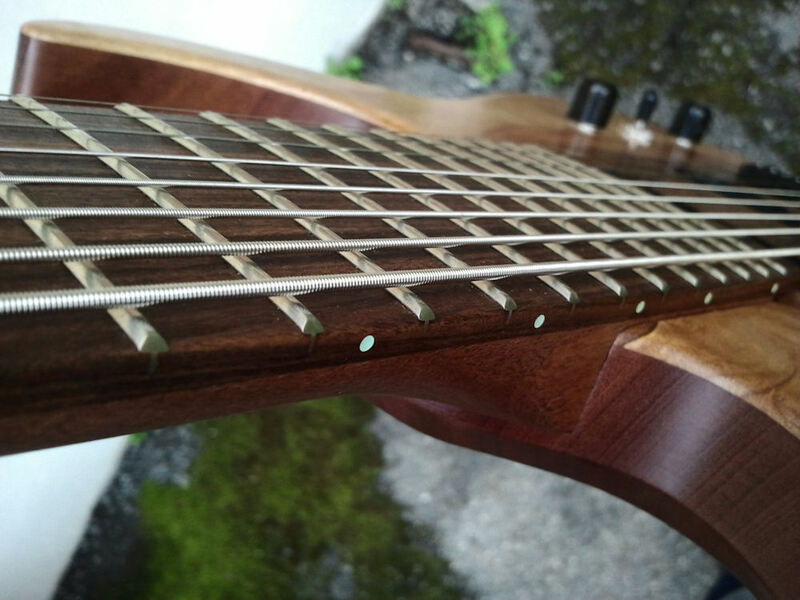 Installation of LED position marks (with an exception of giants like Alembic) might affect the timbre of an instrument and lead to other costly troubles, but you can forget about all these problems if you choose Luminlay. With Luminlay you don't have to worry about dim lights or smoke on stage; leave it to Luminlay fluorescent position marks, and concentrate on your performance. "Not being able to see the side position marks when the stage goes dark is a real problem, so when I found out about how Luminlay is different I placed an order right away. The first time I tried using the new position marks I was surprised how bright they were. You can really appreciate its usefulness at the beginning of a song or other important moments like this. I had most of all been worried if they could stay bright long enough but even some time after the performance was over I could see the positions just fine which was a pleasant surprise. They don't damage the neck, and cost-performance ratio is yet to be beaten, too. Also, charging the side positions with the Luminlay light charger takes only a moment so you can easily do it right before going on stage. Now that I know Luminlay I understand that it's an invaluable accessory to an instrument. Anyway, a picture is worth a thousand words, so why don't you give it a try and see for yourselves?" "(concerning installation) It turned out to be much easier than I thought. Luminlay marks are also a bit bigger than the side position marks I used to have before so they are easier to spot, and in usual circumstances you can't even tell them from the original white marks. Unlike fluorescent paint Luminlay doesnt swell or obstruct the movement of your hand. I've done only one guitar so far but I'm definitely considering ordering a set for all the rest of my instruments. In any case, this time I'd like to place an order for our band's bassist. I've shown my guitar to several other guitarists including bassissts. Some of them were professional musicians, and all equally liked it. "when you start playing after a break between songs the side positions are really easy to see", they said. When you perform live there are times of complete darkness with flashing lights, and in times like these the way you see the movements of your hand becomes distorted, and many people don't realize it. That's when Luminlay really comes in handy. I was even asked at first, "Did you install LED?" - that's what it looks like to people who have never come across Luminlay. "Nope, - I explained, to their surprise. - I just changed my side position marks, that's all".